409 Marlborough is located on the north side of Marlborough, between Hereford and Massachusetts Avenue, with 407 Marlborough to the east and 411 Marlborough to the west. 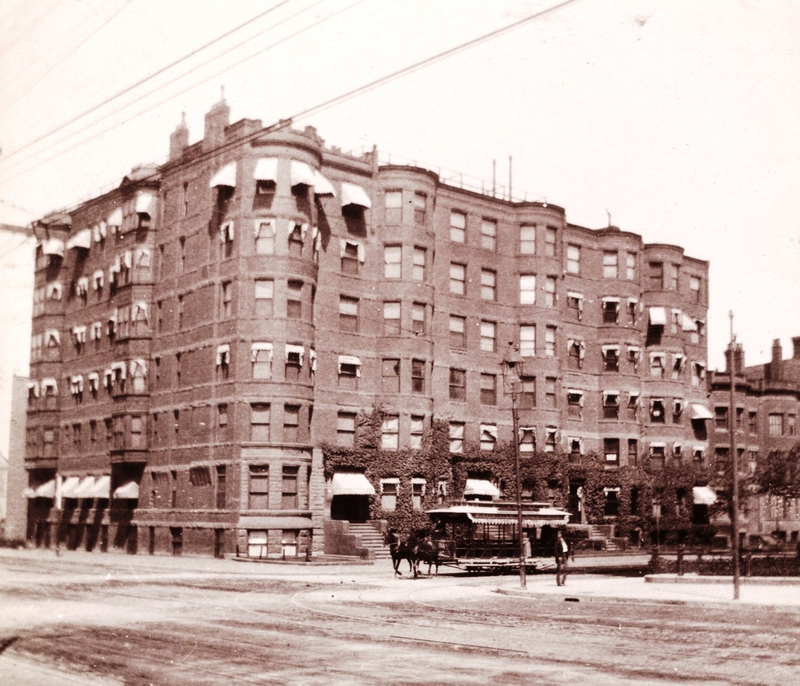 409 Marlborough, a twelve-unit apartment building, was designed by architect Samuel D. Kelley and built in 1890 by Keening & Strout Brothers, masons, for jeweler and real estate developer Edwin B. Horn, Jr. 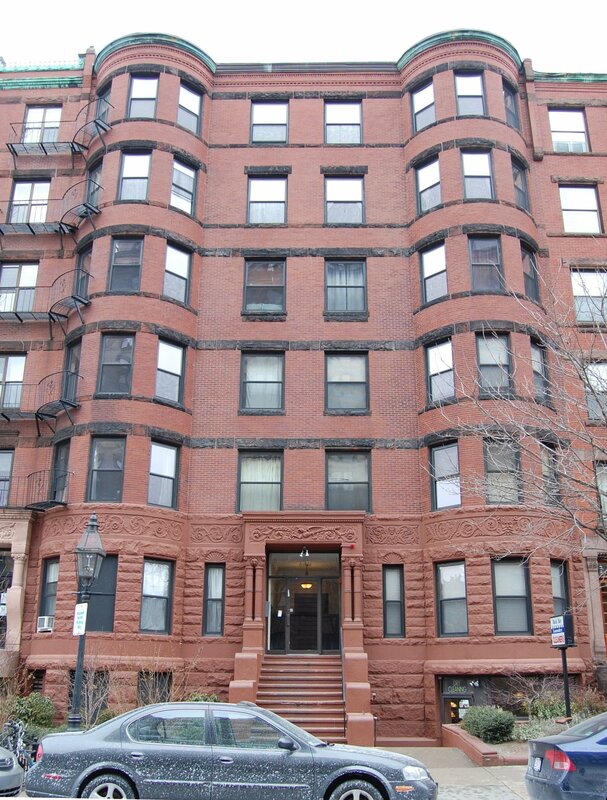 It was a companion building to 411 Marlborough, a six-unit building built at the same time at the corner of Marlborough and Massachusetts Avenue, and to 405-407 Marlborough, two six-unit buildings built for Edwin Horn in 1889. 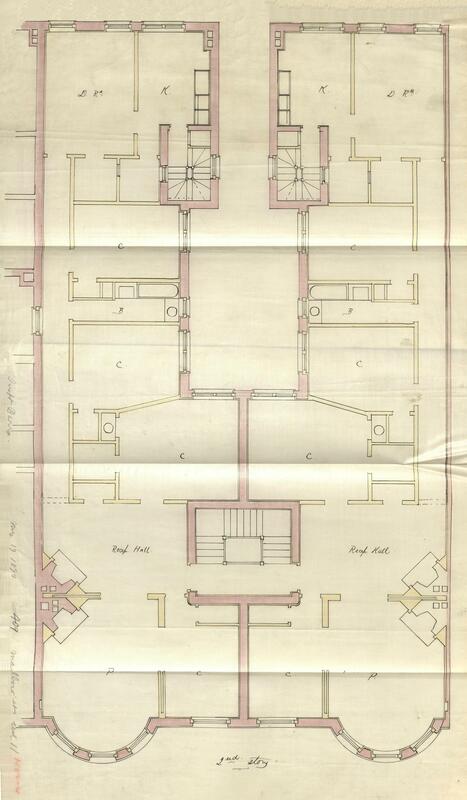 Click here for an index to the deeds for 409 Marlborough, and click here for further information on the land on the north side of Marlborough between Hereford and Massachusetts Avenue. On January 24, 1891, 409 Marlborough was purchased from Albert Geiger by Benjamin Lowell Merrill Tower and Edward Jonathan Hammond as trustees of the Marlborough Associates trust. Benjamin Tower was an attorney and also owned 405 Marlborough, where he and his wife, Eliza Curtis (Kneeland) Tower, lived in one of the apartments. Edward Hammond was a wholesale lumber merchant and also owned 407 Marlborough; he and his wife, Alice Ida (Eastman) Hammond, lived at 440 Marlborough. On August 23, 1905, 409 Marlborough was purchased from the Marlboro Associates by attorney and real estate investor Frederick Silsbee Whitwell. He and his wife, Gertrude (Howard) Whitwell, lived at 166 Marlborough. Frederick S. Whitwell was the son of Frederick Augustus Whitwell and Mary Crowninshield (Silsbee) Whitwell. Frederick Augustus Whitwell’s brother, real estate dealer Samuel Horatio Whitwell, had purchased 411 Marlborough in January of 1891. He had died in March of 1904 and, under his will, his estate was inherited by his brother, Frederick Augustus Whitwell during his lifetime and then divided equally between Frederick A. Whitwell’s two children, Frederick Silsbee Whitwell and Natalie Silsbee Whitwell. By 1915, 409 Marlborough had been converted from twelve to eighteen apartments. 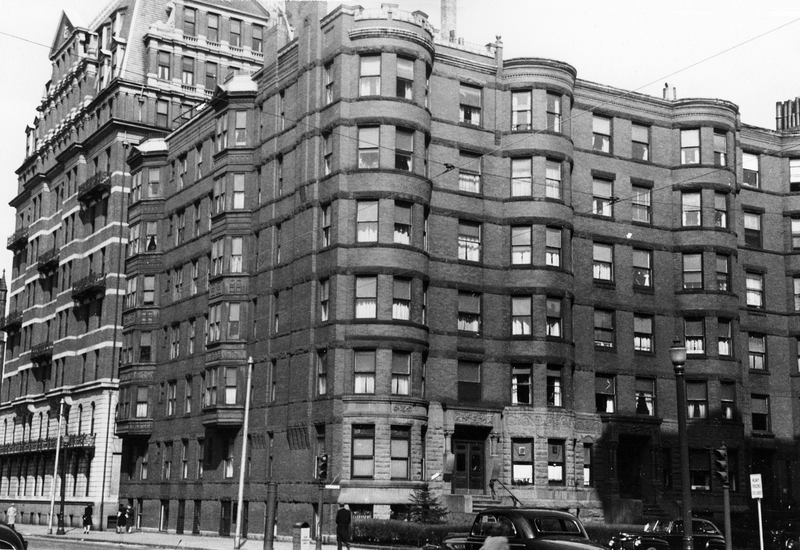 In July of 1960, the Greenhoods sold 411 Marlborough to S. Zelig Rivkind. The Greenhoods retained 409 Marlborough, and in May of 1961, they applied for (and subsequently received) permission to convert the property from fourteen apartments into fourteen apartments and a retail store, adding a separate basement entrance to the store. By 1964, they operated 409 Marlborough as a combination of apartments and a lodging house, with two addresses, one at 409 Marlborough and the other at 409A Marlborough. On July 30, 1964, 409 Marlborough was purchased from the Boardmans by Robert M. Cabitt, trustee of the 409 Marlborough Trust, and on July 28, 1966, it was acquired from him by Lee E. Ellison. In July of 1967, he applied for (and subsequently received) permission to convert the property into 36 apartments, 1 retail store, and 1 office. On February 12, 1968, 409 Marlborough was purchased from Lee Ellison by real estate dealer Bernard (Ben) Smullin, trustee of the Alcher Realty Trust. In February of 1968, he applied for (and subsequently received) permission to amend the permit previously approved for Lee Ellison and change the occupancy to 38 apartments, 1 retail store, and 1 office. On March 7, 1969, he transferred the property to himself and his brother and business partner, Samuel Smullin. On November 3, 1980, they transferred 409 Marlborough to the Marlborough Properties Corporation, later known as the Florida-Marlborough Properties Corporation. On March 17, 1982, 409 Marlborough was purchased from the Florida-Marlborough Properties Corporation by The Marlborough Group Limited Partnership (Camran, Inc., general partner). In April of 1988, it applied for (and subsequently received) permission to convert the property into 39 apartments and 1 retail store (the office having been converted into a residential unit). 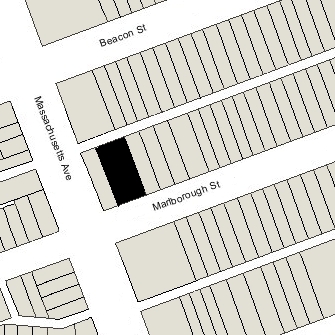 On June 21, 2004, 409 Marlborough was purchased from The Marlborough Group LP by the 409 Marlborough Street LLC (Alfred Sabetfard, manager). 409 Marlborough remained an apartment house and commercial building in 2017.